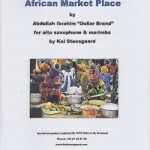 African Market Place, arrangement is for alto saxophone & marimba. 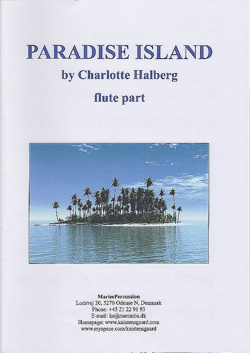 Fun and easy. 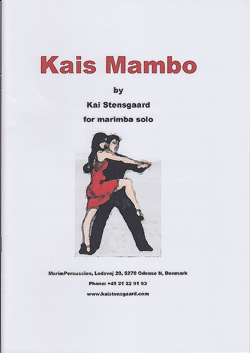 4 mallets. 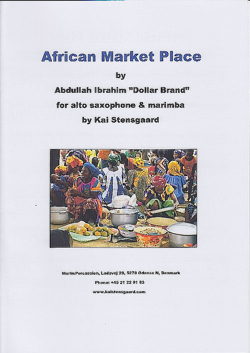 African Market Place by Abdullah Ibrahim (Dollar Brand) piano player from South Africa. 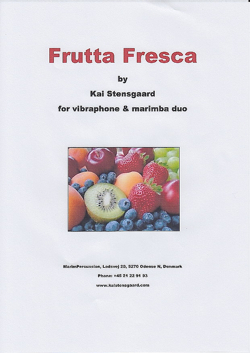 This arrangement is for alto saxophone & marimba. 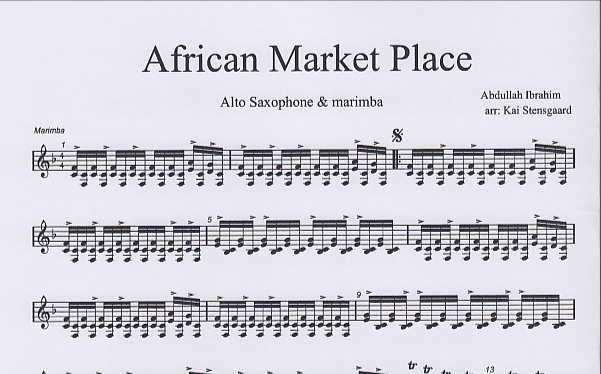 Fun and easy to play and it leaves space for improvisations, if you like that.